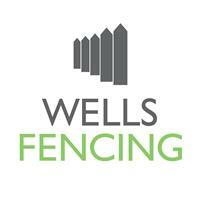 Wells Fencing - Fencing/Gates, Landscaper based in New Haw, Surrey. Wells Fencing is a well established Domestic & Commercial Fencing Contractor in Surrey. Our aim is giving you a High Quality Service & Best Quality Fencing to suit your needs. Our Knowledge and pride for our work will guide you through your project with ease and provide the best quality fence within budget and produce perfect results every time. Most of our Work is from customer recommendation and we provide all of our customers a friendly, competitive & reliable service where quality workmanship is guaranteed. Take peace of mind as we carry public Liability insurance cover upto £5,000,000 just in case of any unfortunate event. Liabilty Insurance Certificates available upon request. So why not get in contact and we can organise a suitable time to carry out an estimate for your work and remember your in no obligation to carry out the work and it's absolutely free. It can be a daunting process having work completed at your property. We aim to put your mind at ease and will easily guide you through every step of your project no matter how big or small. Everything is carefully detailed in your Free Quotation and rest assured you can relax and watch your work unfold. All Surrey, Cobham, Epsom, Esher, Guildford, Leatherhead, Virginia Water, Walton-On-Thames, West Byfleet, Weybridge, Woking.